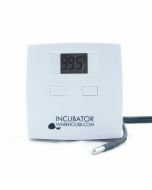 This thermostat is a direct replacement for the Little Giant Egg Incubators with electronic thermostats. This thermostat fixes a major issue with the Little Giant design (making small adjustments to the set temp). The Temperature Range Switch allows you to choose between 2 temperature control ranges (Narrow & Wide). Is this thermostat compatible with the little giant 9300? 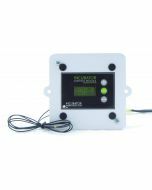 This thermostat is designed to be a replacement for the Little Giant 9200 incubator only.